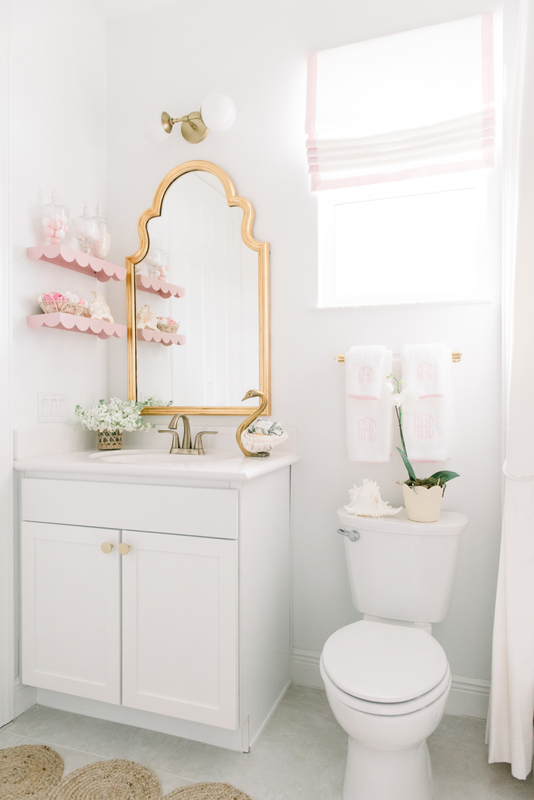 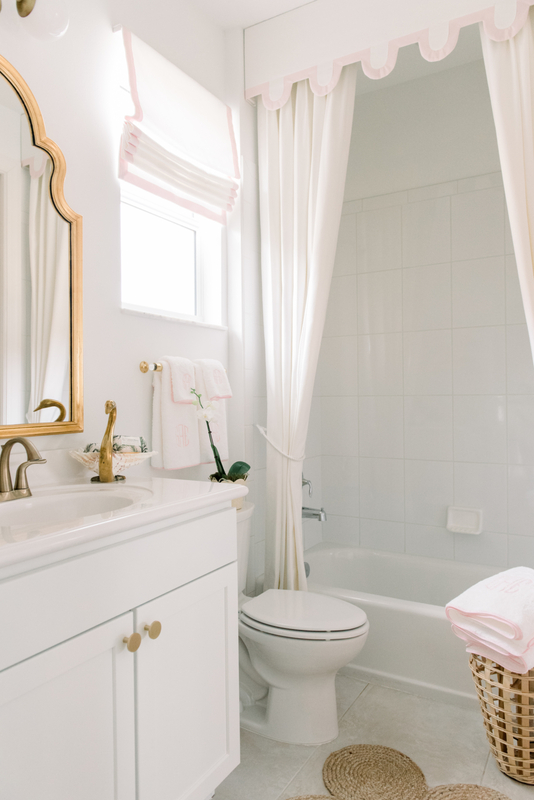 We shared Grace’s Swan Soiree Nursery a few years ago and I have been wanting to finish her bathroom to complement her room. 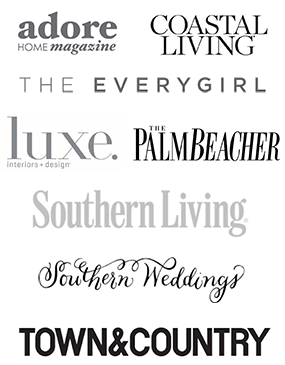 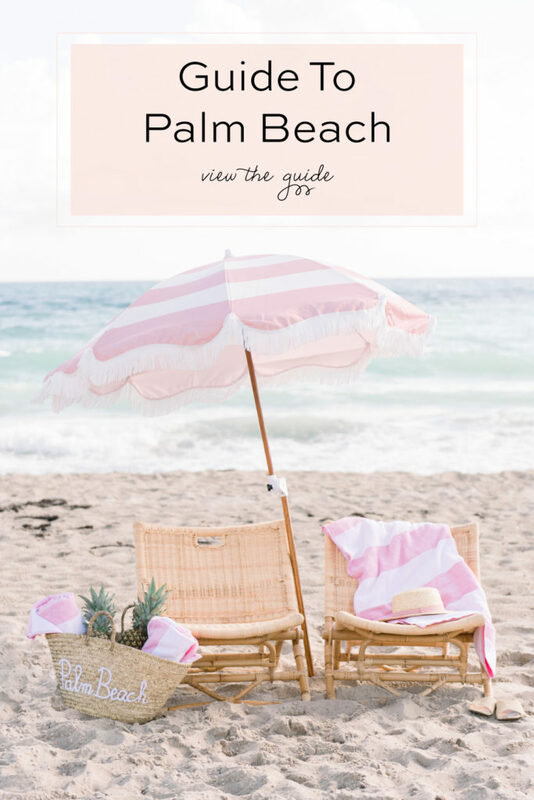 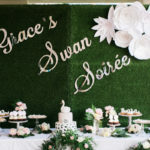 I enlisted my friends from Luxe Report Designs to help make it happen and I am in love with how it turned out! 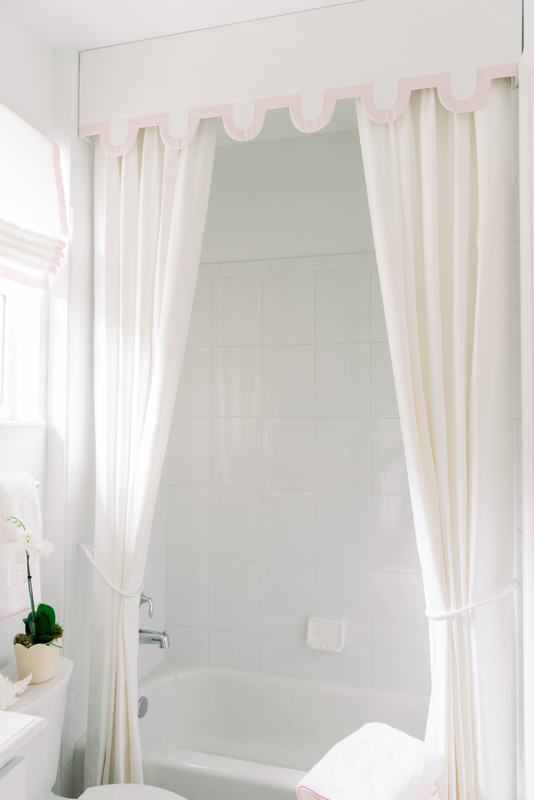 They matched the same curtain design from the nursery and created a custom, dramatic valance and curtain. 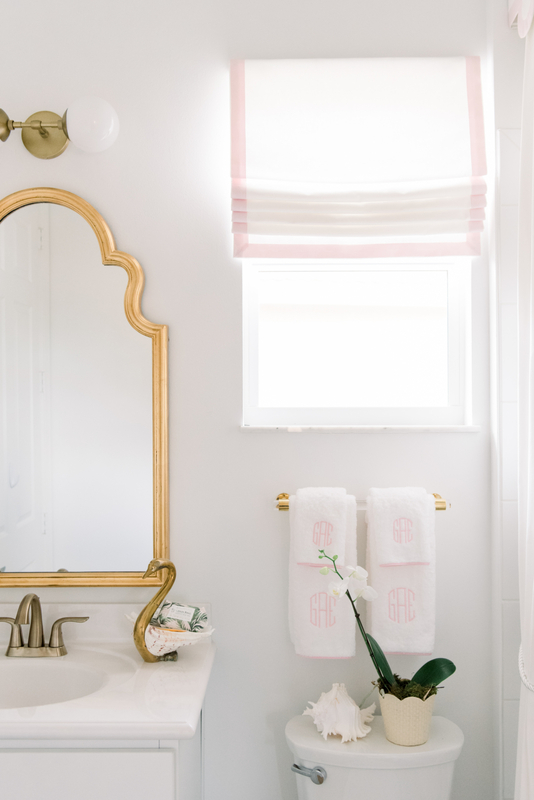 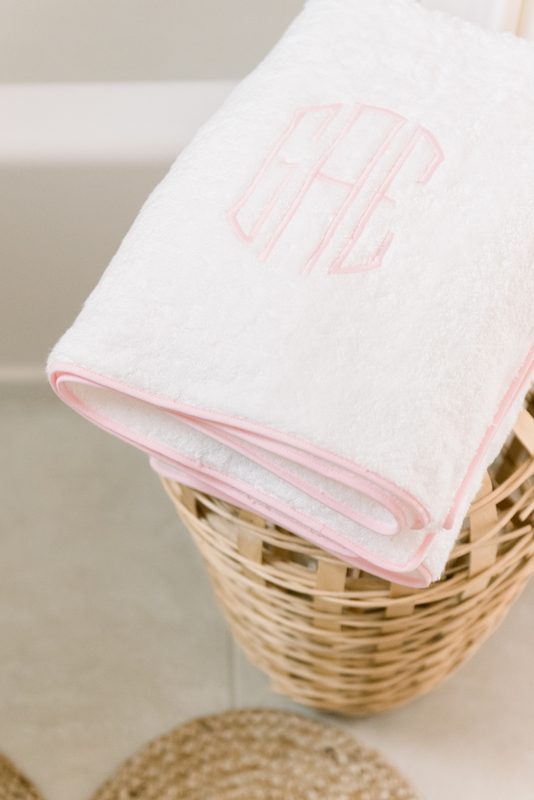 I’ve had my eyes on these pink trimmed towels from Pioneer Linens and couldn’t wait to monogram them and add to the bathroom! 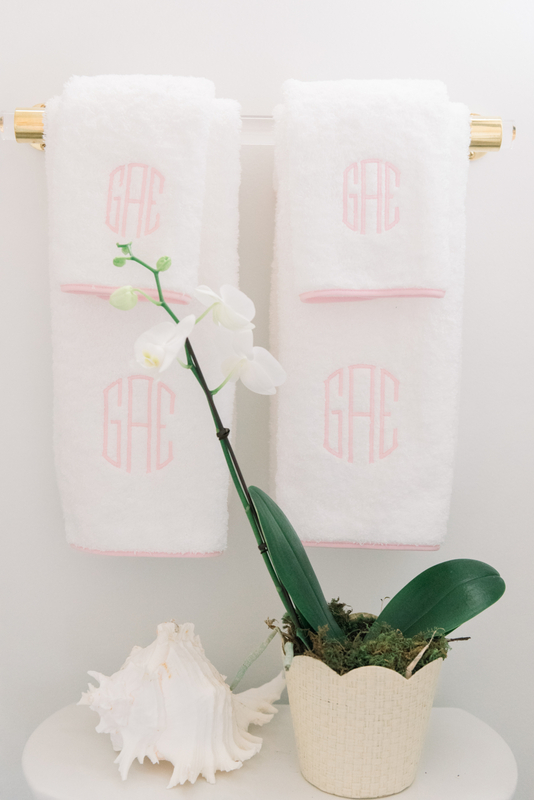 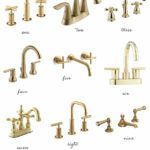 I found this acrylic and gold towel rod and Etsy and immediately knew it was the perfect touch for the towels. 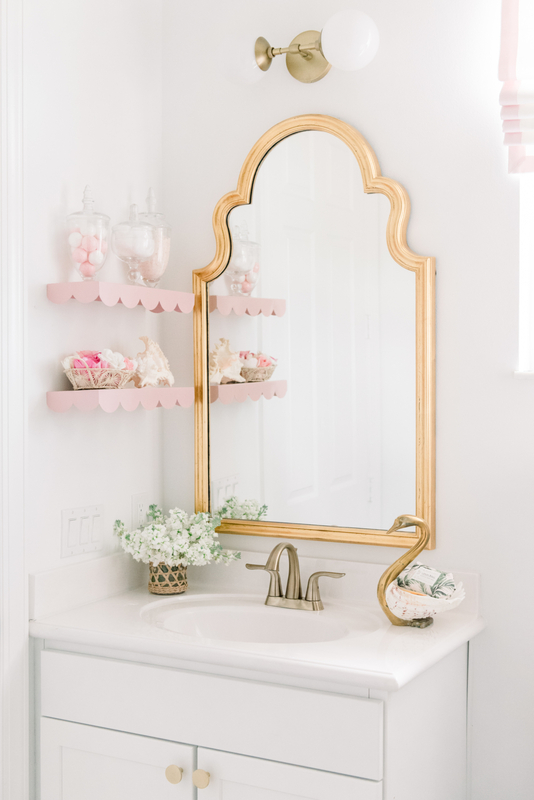 I started with this gold mirror and light fixture and then swapped out the faucet and cabinet hardware for brass to match the new decor. 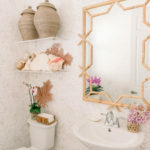 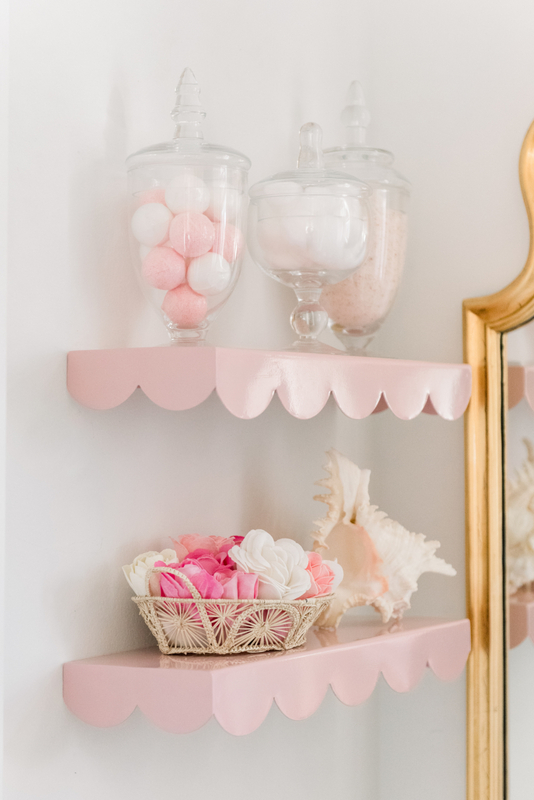 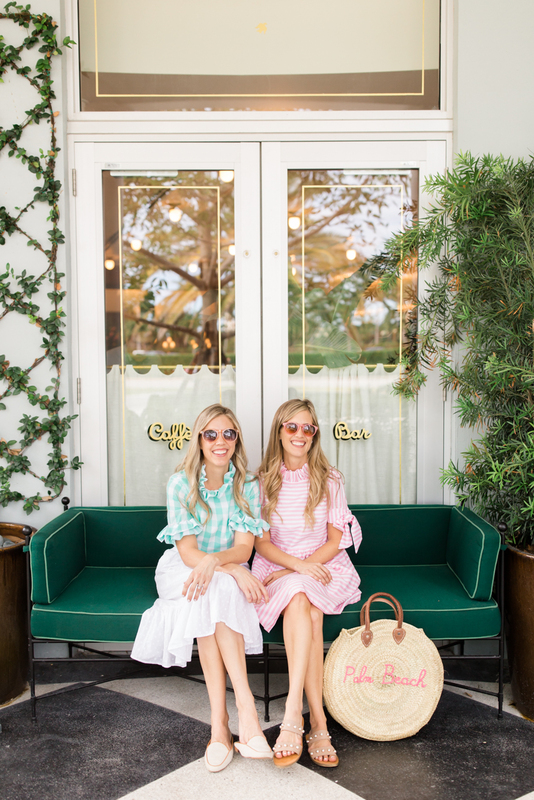 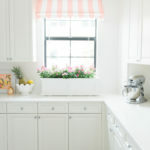 These sweet blush pink scallop shelves were the perfect feminine detail for apothecary vases, raffia basket from Lindroth Design other small decor. 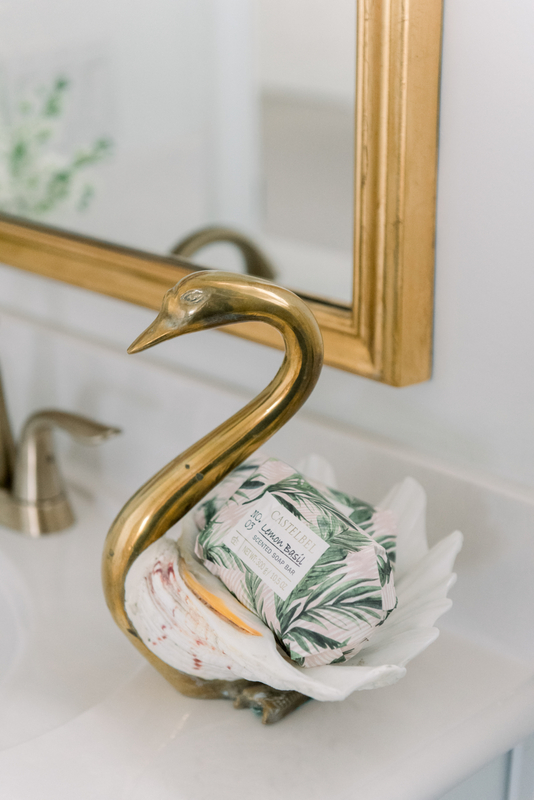 They showed me this swan soap dish from Etsy and I felt like it completed the subtle swan theme. 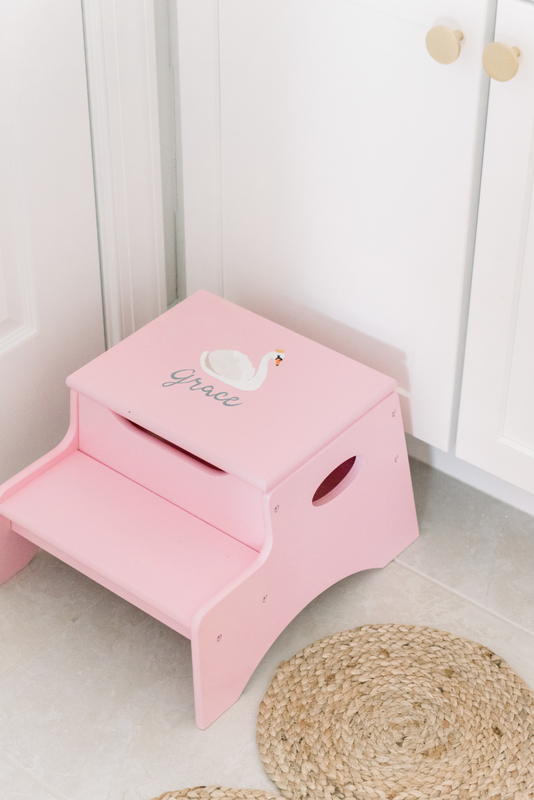 Go Coastal Studio hand painted this adorable swan step stool that matched the swan theme stationery Little Lovely Party created for Grace’s 1st Birthday.